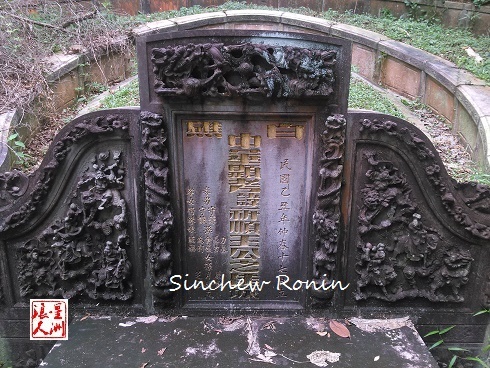 Ong Kee Soon was the second son of Ong Chong Chew, one of the three donor of the cemetery of Ong’s Clan Cemetery. Chong Chew came from China and Married Nyoya Tan Sin Neo. He set up his Shipping Company and become rich. 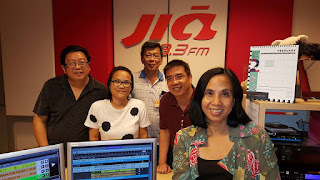 They had 4 son, Kim Chow, Kee Soon, Kee Chin and Kee Ann. Kee soon was the Trustee of Cemetery as well. He set up his company “Chop Teck Choon” and died in 1925. His tomb is found last Sunday. It is huge, with a pair of Golden Boy and Jade Girl, mythic Birds, and Guards. The pair of Guards are impressive.